Rory is an artist–a graffiti artist, currently. She’s secretly been painting lions all over town anonymously–until she gets caught by newcomer and recovering alcoholic Hayes. As they spend more time together, both of them will have to confront and overcome their inner demons. 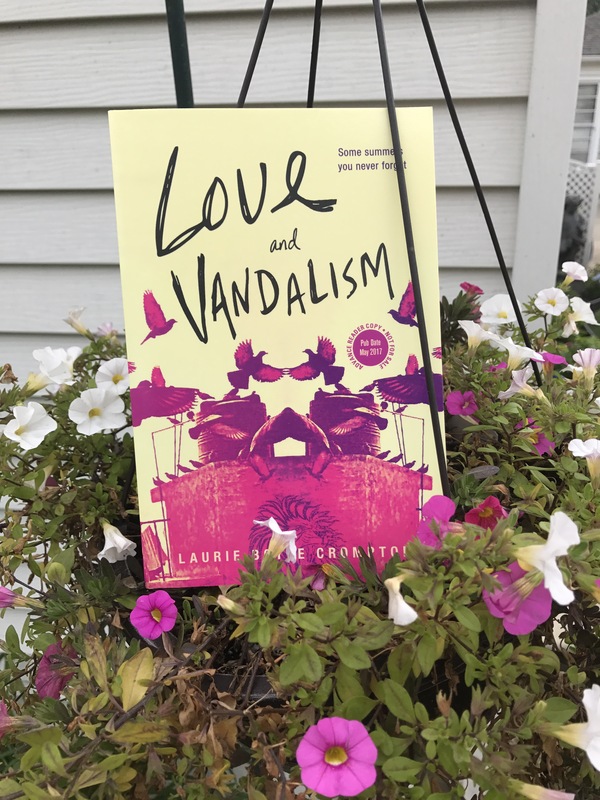 This novel is an intriguing and engaging story about two teens who are dealing with their own problems in the best way they know how, both together and separately. One of the main reasons I liked this book was because of the main character, Rory. She stood out from the usual leads in the books I tend to read. She’s strong-willed, tough, and confident. I love characters who can hold their own. She’s not apologetic, she’s sassy and flawed. Both her and Hayes are. That’s what makes her narrative so engaging, because as we find out throughout the book, Rory is hiding secrets of her own even from us readers. That reveal was awesome! I’ll have to go back and re-read, but how that small twist was revealed was amazing, I never saw it coming. Laurie’s writing style is easy to read and flows nicely. Even though this was an uncorrected proof, looking back there were no errors or spelling/grammar mistakes that I can think of. It was also nice to see how Rory’s relationship with her police sergeant father evolves throughout the novel, and really how all of her relationships change. The more that is revealed about her past, the more her actions and feelings are understood. Her relationship with her mother and her connection to art are huge aspects of the story and Rory’s life, and her anger and pent up feelings about her past are visualized through her lion art, which ends up coming full circle at the end. Overall, I would recommend this book to teens who like teen contemporary romance novels, but the romance isn’t too over the top–basically, don’t not read it because she has a love interest. I received this book as an ARC from my sister’s former teacher! Connect with the author! Follow Laurie Boyle Crompton on Instagram at @lbcrompton!